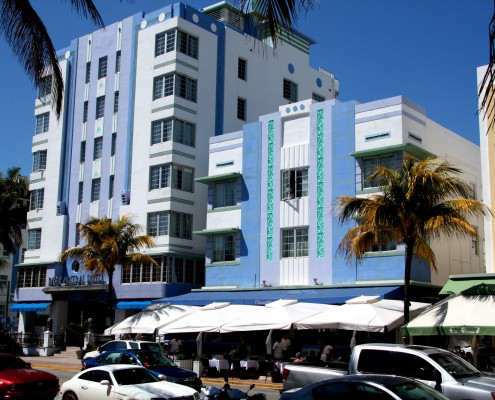 Designed by famed Miami Beach architect Henry Hohauser and originally built in 1937 as South Beach emerged as the go-to hot spot in 1930s, guests such as Clark Gable, Carole Lombard and Rita Hayworth made The Park Central their Miami hotel of choice. 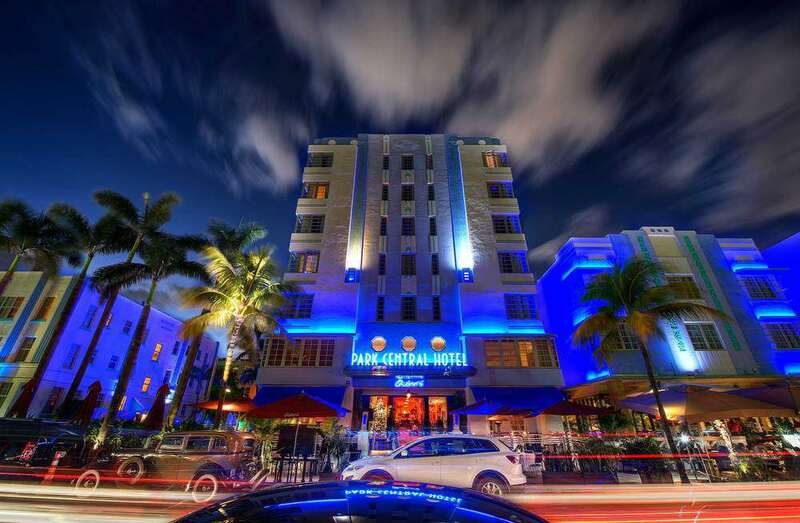 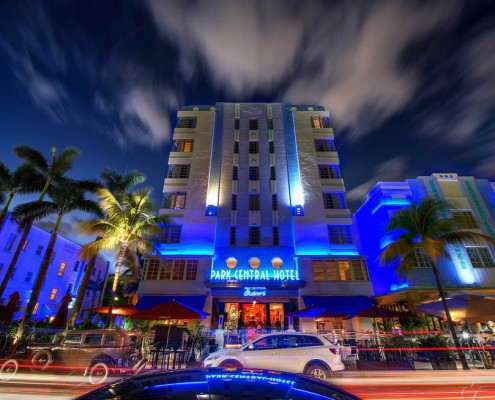 Located on palm-lined Ocean Drive, across from the Atlantic Ocean, Lummus Park and the Miami Beach Boardwalk, The Park Central is often referred to as “The Blue Jewel,” a reference to the hue of the hotel’s marquee neon lights. 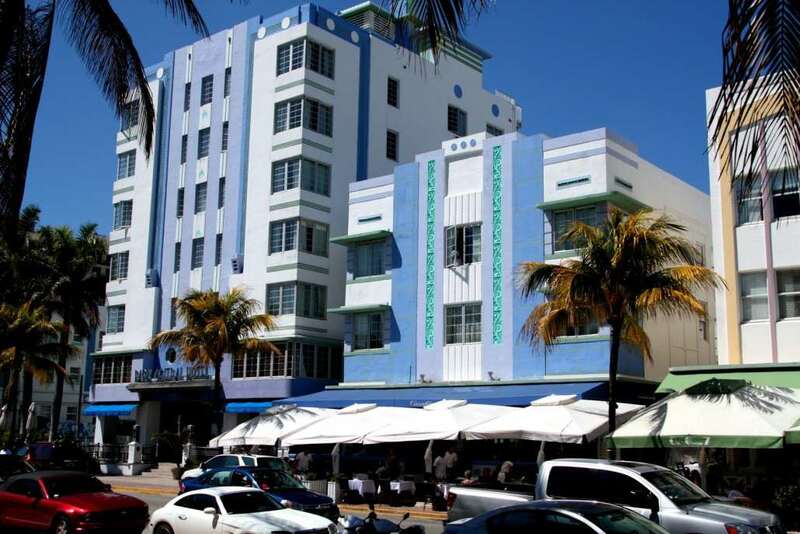 Step outside the main entry and you’re immediately immersed in the sights, scents and sea breezes that have made South Beach world famous. 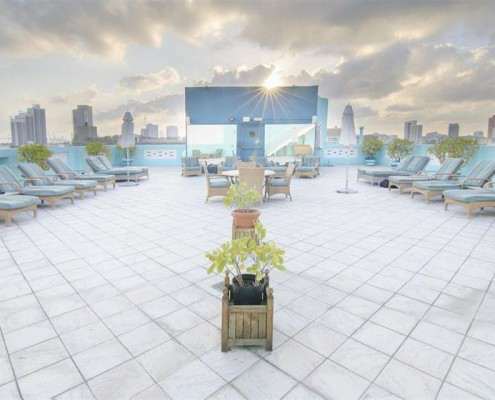 The Park Central’s prime location assures you’re never far away from the area’s top restaurants, shops and attractions. Taking a cruise? 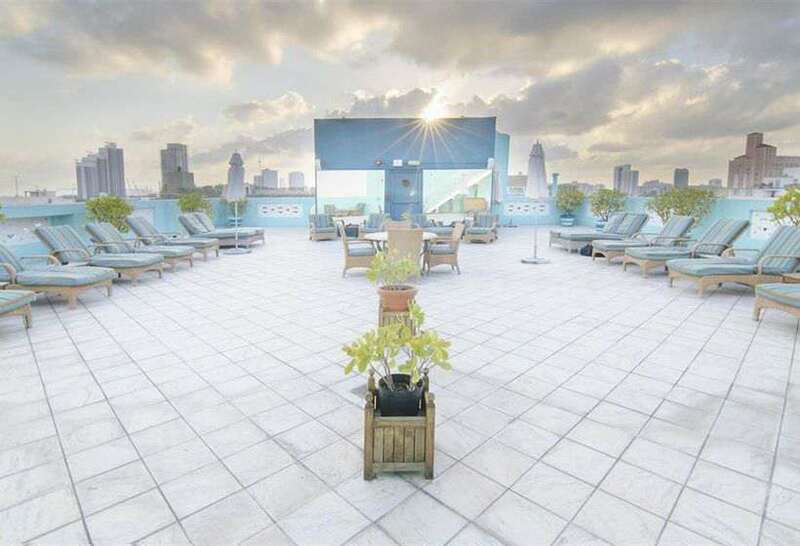 The Park Central is a popular place to play pre-cruise, post-cruise, or both. 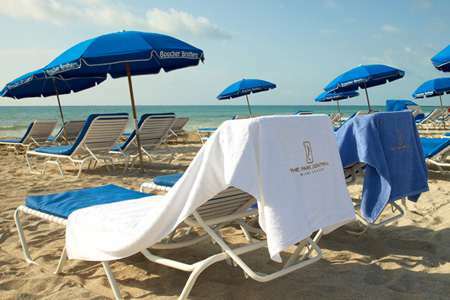 Conveniently located less than 10 minutes from the Port of Miami.